If you're trying to update your Deployment Share, you may have already got the error: Error 5 - Access Denied. You have integrated some changes in your Deployment Share, as instance new drivers in the boot image and need to update your Deployment Share. However an Error: 5 with Access is denied occurs. Furthermore, you also noticed the following error: WinPE-HTA-Package Error: 0x80070005. This error may come from McAfee VirusScan Enterprise (VSE) 8.8. 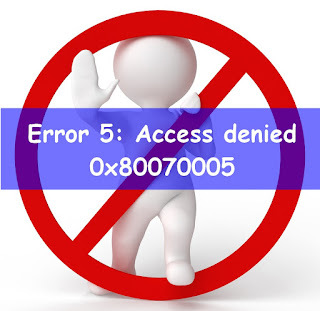 Indeed DISM generates an error 5 when VSE 8.8 Access Protection is enabled. See here the official note from McAfee. To run an update of your Deployment Share without DISM errors let's stop the McAfee services: McAfee McShield. If you still get the error, you can try to stop other McAfee services.